Why the US Court of Appeals’ ruling that “an IP address is not enough to identify a defendant” will not deter the copyright trolls. Unless this case will stop forcing the ISPs to reveal account holders’ identities, this ruling is useless. Everybody is cheering about the news in the 9th Circuit Court of Appeals (this is a higher court) “Cobbler Nevada, LLC v. Thomas Gonzales,” a lawsuit filed against Gonzalez (originally a Cobbler Nevada, LLC v. Doe-24.21.136.125 (Case No. 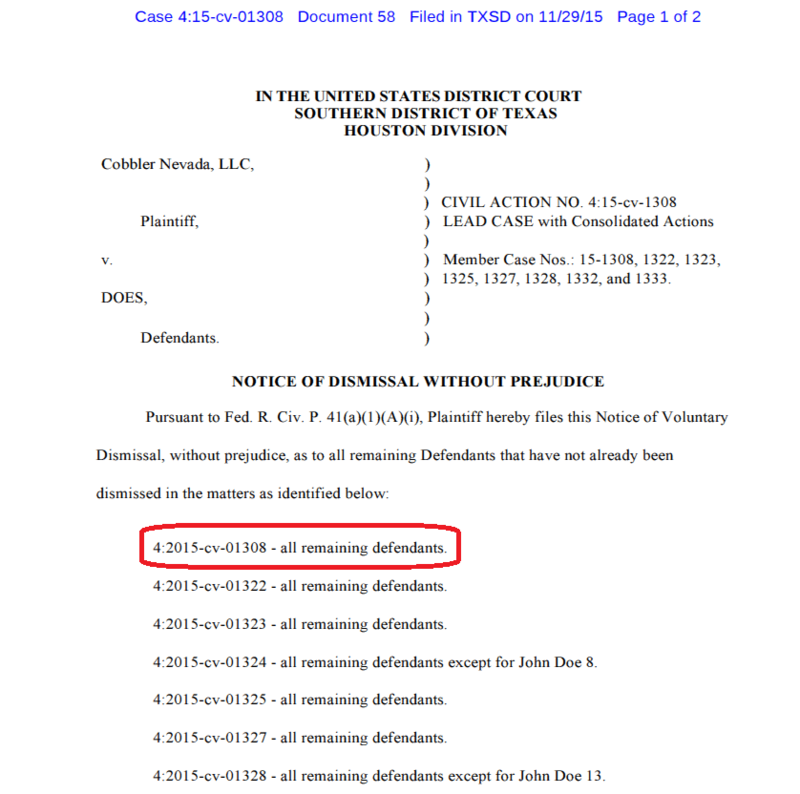 3:15-cv-00866) case filed in the Oregon District Court) for the download of the Adam Sandler movie, “The Cobbler.” In this appeal, the Court of Appeals just ruled that an IP address is not enough to identify the subscriber as being the downloader. However, my opinion is that unless federal judges will apply this ruling to prevent a copyright holder from forcing the ISP to release the identity of the account holder (which I believe they will NOT), this ruling will be useless. Judges rubber-stamp copyright infringement lawsuits. For YEARS, I saw literally hundreds of cases fly past the judges who rubber stamped expedited discovery motions forcing the Internet Service Providers (ISPs, e.g., AT&T, Comcast, Verizon) to hand over the names and addresses of the subscriber — why? Because the assumption was that the account holder was most likely the downloader. 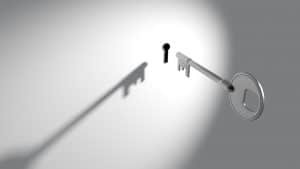 Cobbler Nevada, LLC was only one of MANY copyright holders employing this tactic — sue a “John Doe” downloader having an accused IP address, convince the judge to allow the plaintiff attorney to send a subpoena to the ISP to unmask the identity of the account holder. Copyright troll attorneys do not state in the complaint that the ACCOUNT HOLDER is the DOWNLOADER. I remember rummaging through one case after another asking, “Did ANY copyright holder PLEAD that the subscriber was the infringer?” The fact that the answer was NO made my face contort into a Picasso-styled painting. 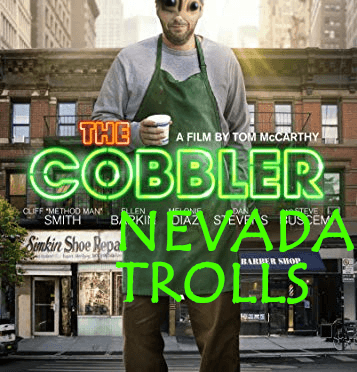 Copyright holders like Cobbler Nevada, LLC filed copyright infringement lawsuits which spoke all about the ‘theft’ that occurred when someone connected to a bittorrent network and downloaded a pirated copy of their movie. They spoke about the harm, and how terrible piracy was for their business. However, they never wrote that the account holder (the subscriber) was the downloader. So kudos to the judge for finally making this part of the permanent case law which we will certainly use when defending a client accused of copyright infringement… But wait. WILL this ruling stop judges from approving expedited discovery? Will this ruling stop judges from issuing that MOST DESTRUCTIVE ORDER which permits the copyright troll to send a subpoena to force the ISP to hand out the name and address of the account holder? I suggest the answer is NO. Cobbler Nevada ruling misses the fact that by the time we file a motion to dismiss, it is already TOO LATE. Looking at Cobbler Nevada‘s pleadings for a moment, failing to identify the account holder as being the infringer (the “pirate” / bittorrent downloader) suggests that a defense attorney such as myself could file a motion to dismiss the complaint for failing to state a claim. Our argument based on this ruling is that the plaintiff attorney never said in his pleading that the account holder is the one who downloaded the copyrighted film. By that time, however, the ISP already handed over the name and address of my client, and the plaintiff attorney has already amended the complaint against my client forever memorializing the fact that my client was accused of copyright infringement. Innocent account holders are victims in copyright infringement lawsuits. But what happens if my client did NOT do the download? The ISP would have handed over my client’s information to Cobbler Nevada LLC’s plaintiff attorney, I would have sent over a letter of representation to the plaintiff attorney informing him that my client did not do the download and thus we are not settling (I refer to this as the “ignore” route representation, [not because we are ignoring anything, but because we are not paying a settlement if my client did not do the download, and thus there is nothing to do except to explain to the plaintiff attorney that my client — the account holder — was not the downloader]). The plaintiff attorney will still try to shake down my client and solicit a settlement, regardless of whether he did the download or not. The plaintiff attorney will NAME AND SERVE the innocent account holder (starting the pattern of abuse). The plaintiff attorney’s logic for naming and serving the subscriber, even if the subscriber is not the downloader is twofold. Firstly, once the plaintiff attorney names and serves the account holder, 1) they hope the account holder will hire a settlement factory attorney (a defense attorney who pre-arranges inflated settlement prices with copyright trolls to settle all cases at a premium (so-called “anonymous” settlements) and pay to settle the claims against him, regardless of whether the account holder did the download or not. Thus, the plaintiff attorney will “score” a multi-thousand-dollar settlement from an innocent account holder defendant (sometimes $2,500, sometimes $10,000+). An innocent account holder is a victim of the legal system even if he is dismissed. However, even if the innocent account holder defendant hires an attorney such as myself (or someone like me) and we do NOT settle the claims against my client [because my client — the account holder — did NOT do the download], that plaintiff attorney still reasons that the case will never go to trial. They figure that they could drag the innocent defendant through the legal system, force him to hire an attorney, force the attorney to file an answer in the case denying the claims, showing up to one or more case management hearings, and force the defense attorney and his innocent client to cooperate while he abuses the legal system (forcing them to submit to searches and temporary seizures of their computers and electronic devices, and forcing the defendant to answer questions under oath. IF THEN (after discovery) the plaintiff attorney determines that the account holder is not the downloader, he can dismiss the lawsuit against the defendant. Even a dismissal leaves an the account holder violated. Receiving such a dismissal might sound good as you read this, but remember, the account holder was not the downloader. His information was shared with a set of attorneys who are doing nothing other than drooling for a settlement. There is an involuntary set of threats thrown against the defendant that he must settle or his name will be exposed to the world as being an accused downloader (guilty or not). That innocent account holder then has to decide whether to settle the claims against him (pay even though he did not do the download) or defend the claims against him in litigation. He then has to pay a defense attorney to represent him. Then he has to endure the legal process (which is all new to him, even though the plaintiff attorney has done this hundreds of times to other innocent account holders). Then he has to show up at the plaintiff attorney’s office, enter a room with a court reporter, and be put under oath (risking being found guilty of perjury if he makes a misstatement). The innocent account holder’s testimony is then FORCED FROM HIM (he cannot “plead the fifth amendment” not to testify, because this is a CIVIL case, and the fifth amendment applies only in CRIMINAL cases). His computer and cell phones are then searched by someone who is looking to find something “illegal” on his computer. Then even after a deposition where the innocent account holder answers truthfully, the plaintiff attorney STILL threatens him that if he does not settle, he will still need to defend himself all the way to trial. Then the plaintiff attorney dismisses the innocent account holder (“without prejudice,” meaning that he can be subject to this lawsuit AGAIN). Yet, with the dismissal, the identity of the innocent account holder is forever linked with the lawsuit, which is forever searchable on Google when a prospective employer (or even his children or grandchildren) search for his name. I don’t know about you, but I would still feel violated even if I was found “not guilty” or if I was dismissed by the plaintiff attorney after a deposition. The innocent account holder paid his defense attorney $17,222! Putting all of this emotion trauma aside, in the Cobbler Nevada, LLC v. Thomas Gonzales case, the innocent account holder (Gonzales) PAID HIS ATTORNEY LEGAL FEES OF $17,222 (whereas Cobbler Nevada, LLC likely asked for a settlement of $4,500, and an attorney could have settled the claims against him at the time for $1,750-$2,000). Gonzales chose to “fight,” and as a result, he paid his attorney $17,000+ …and he was INNOCENT all along. The only solution is to prevent copyright holders from obtaining the account holder’s identity. So the only way to truly apply this US Court of Appeals ruling is to have judges begin to DENY EXPEDITED DISCOVERY unless the plaintiff attorney explicitly states in the complaint that the account holder is the infringer. However, in truth, a plaintiff attorney can state this, and plead (in the alternative) that he is not the infringer, or he could lie in his pleadings. 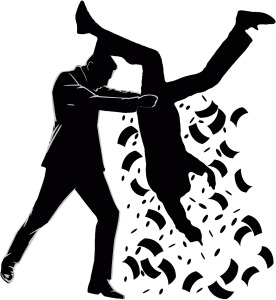 There is no practical consequence in law for falsely accusing a defendant of a civil claim and then later dismissing the claim when he realizes that the innocent account holder did not do the “crime” for which he was accused. Thus, the only way to properly use this ruling is to DENY EXPEDITED DISCOVERIES. DO NOT LET THE PLAINTIFF ATTORNEYS SEND SUBPOENAS TO THE ISPs TO FORCE THEM TO HAND OVER THE IDENTITY OF THE ACCOUNT HOLDER. Because once this happens, even if that account holder could later hire an attorney to file a motion to dismiss the complaint for failure to state a claim, the whole “settlement extortion scheme” has already taken place and that innocent account holder’s name is already memorialized on the docket as being the accused defendant (guilty or not). [CONTACT AN ATTORNEY: If you have a question for an attorney about what you have read and how it applies to your particular lawsuit, you can e-mail us at info[at]cashmanlawfirm.com, you can set up a free and confidential phone consultation to speak to us about your case, or you can send a Text/SMS to 713-364-3476 (this is our Cashman Law Firm, PLLC’s number)].